A teenager on trial for trying to blow up what he thought was a bomb at an event in Portland, Oregon was “conflicted and manipulable,” the FBI acknowledged in an early assessment of the suspect, the Associated Press reports. Mohamed Mohamud’s attorney has been trying to paint the suspect as a naive, harmless teenager who was manipulated by overzealous FBI agents. But prosecutors Wednesday sought to depict him as an extremist bent on killing. 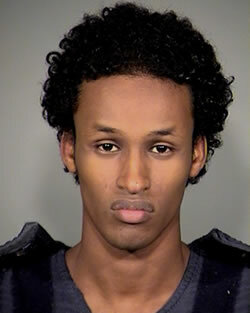 One email assessment by FBI Special Agent Isaac DeLong said Mohamud “wants to have it both ways” – as an extremist and binge-drinking college student, the AP wrote. Posted: 1/24/13 at 8:51 AM under FBI, News Story.